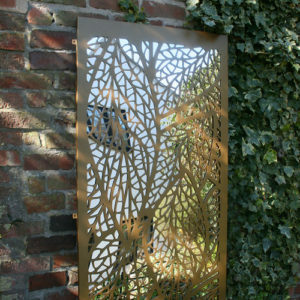 We manufacture bespoke laser cut mirrors for modern gardens and landscaped interiors. 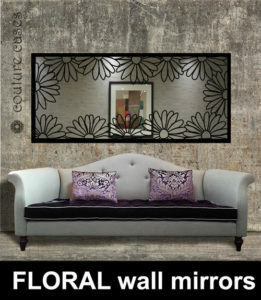 Choose from hundreds of designs including botanical themes, geometric themes, art nouveau, art deco and much more. 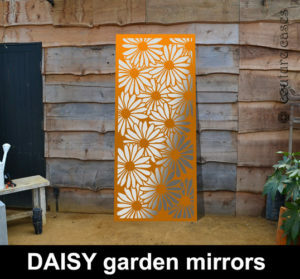 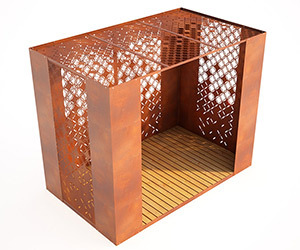 Available in 100’s of designs, manufactured to your exact sizes, and finished in an unlimited number of colours and textures to suit your interior or garden setting. 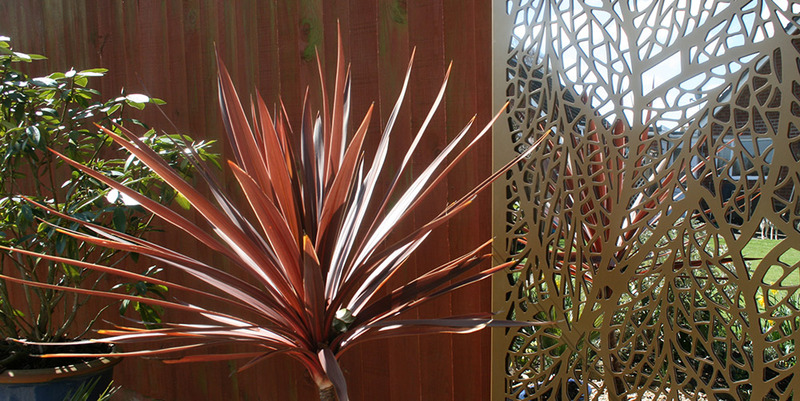 Simply select a design pattern, provide your exact sizes and colour choice, then contact us via the form below where one of our award winning design team will provide costs and all other relevant information. 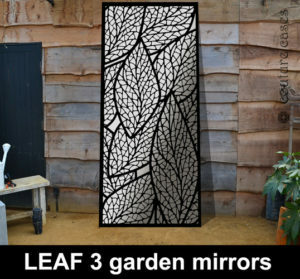 Please note for indoor use we use mirror glass with a safety backing, and for outdoor use we use mirrored acrylic, to reduce the risk of moisture ingress. 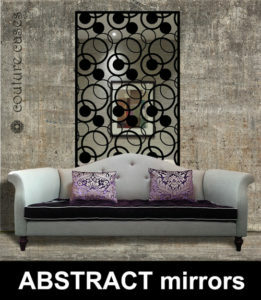 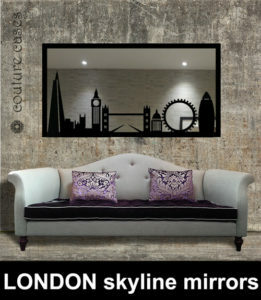 We manufacture custom made decorative mirrors for home and commercial interiors. 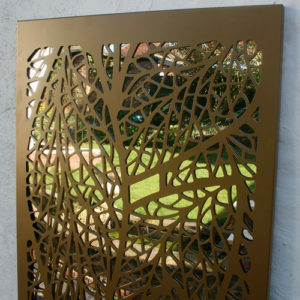 Every mirror is manufactured to your exact design using the highest quality materials and finishes. 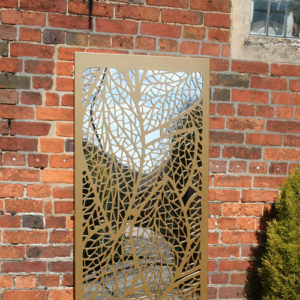 We create unique and exclusive mirror designs for indoor and outdoor use, and work closely with you to design and manufacture a mirror that is exactly to the specification, colour, pattern and finish that you require. 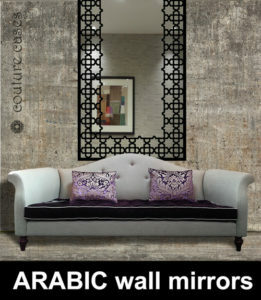 The inages below represent a very small selection of the many ranges available such as art deco, art nouvea, de stijl, floral, abstract, geometrics, moroccan, arabic, personalised mirrors and many more. 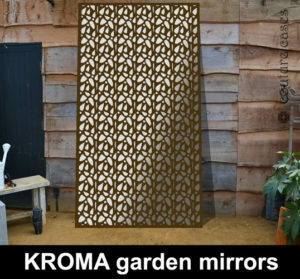 Our experienced award winning design team would be delighted to discuss in confidence all mirror options including designs, colours, finishes and environmental suitability. 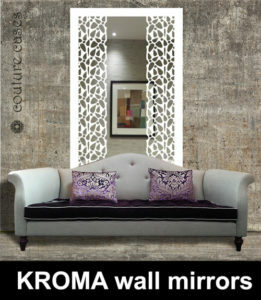 No mirror is too large or small, or too complex or simple. 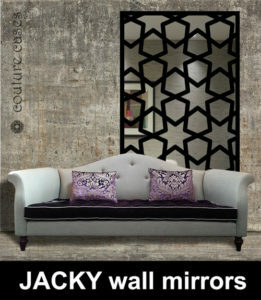 Please note all information is confidential and we never spam or disclose details to third parties.